I use hot hide glue for most of my guitars: top braces; back braces; bridges; top and back to sides and dovetail. - there is some reason to believe that this improves the sound of the guitar. 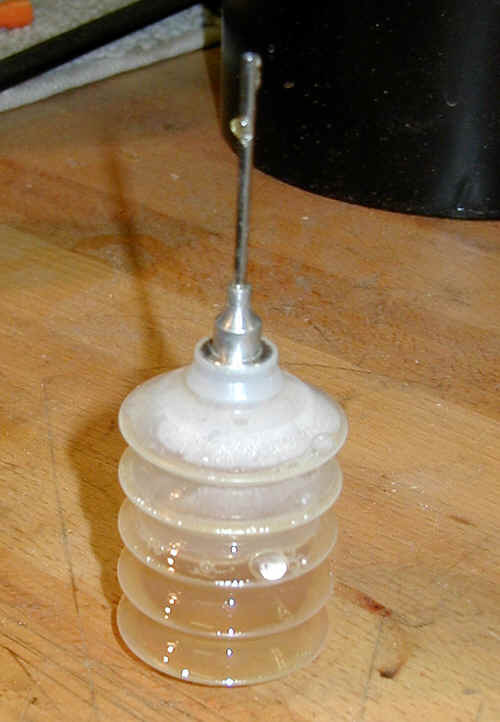 Hide glue dries to a more rigid brittle state which may transmit vibration better. It is also less prone to creep in hot weather. 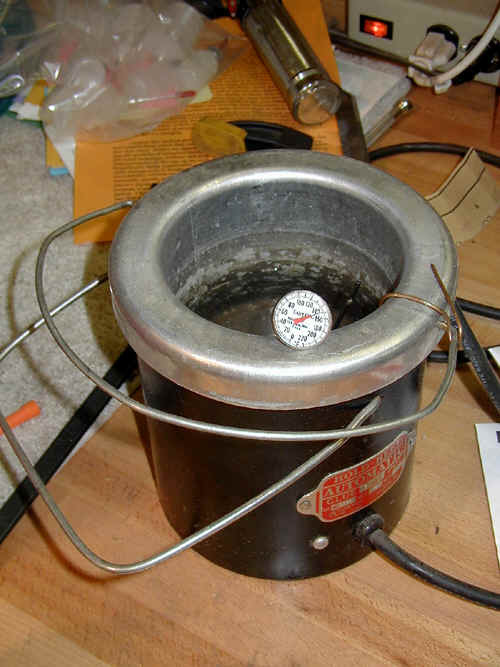 It must be kept at about 140 degrees and this glue pot (essentially a double boiler) is thermostatically controlled to do this. I use this little bottle to keep and apply the hide glue. It helps to apply the glue quickly (it must be clamped within about 30 seconds of application) and accurately. Not visible in this photo are the stainless steel nuts which I have put in the bottle - they help keep it upright in the glue pot.